It’s jam season! Time to preserve that sweet, bright taste of summer in a jar to get you through the dark winter mornings and endless school lunches. You’ll find instructions for apricot jam and blackberry jam in previous posts but, in my opinion, raspberry jam is the best jam, the most important jam. It’s what I want on top of my peanut butter toast, swirled in my Greek yogurt, or rolled in my spelt crêpes. It’s my jam. So is the new song Rain by The Script. 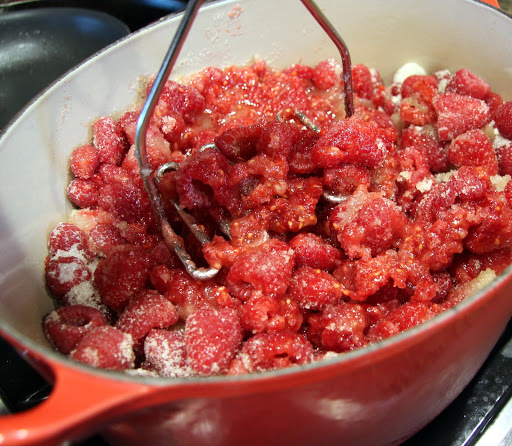 If raspberries are all done in your area (they might be in mine, I made jam a couple weeks ago and am a bit late on this post), you might be able to find frozen ones at your local farmstand. I know of at least one in Bend that offers them frozen after the last fresh ones have been picked. Or you can just bookmark this recipe for next summer so you are ready! I think you’ll find this a simple guide but make sure you give yourself plenty of time. 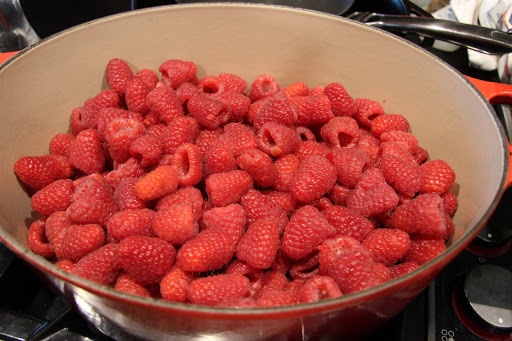 I like working with raspberries because there is no having to remove stems or pits or extra seeds. Easy and delicious! 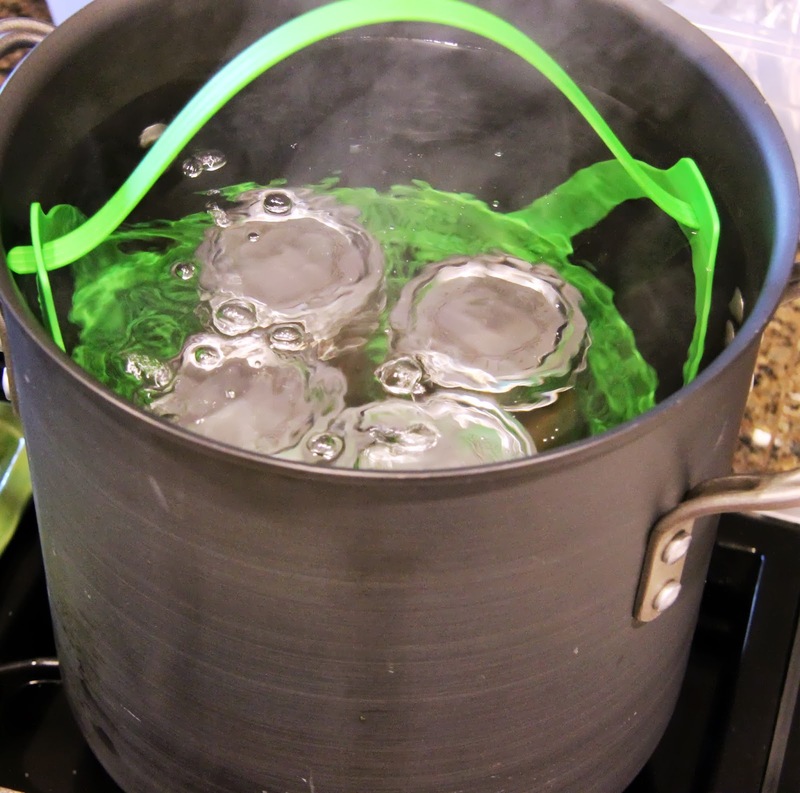 Fill a large stock pot with water (leave about 4″ at the top) and set it on high heat to boil. This could take awhile so you want to start ASAP before you start the jam. 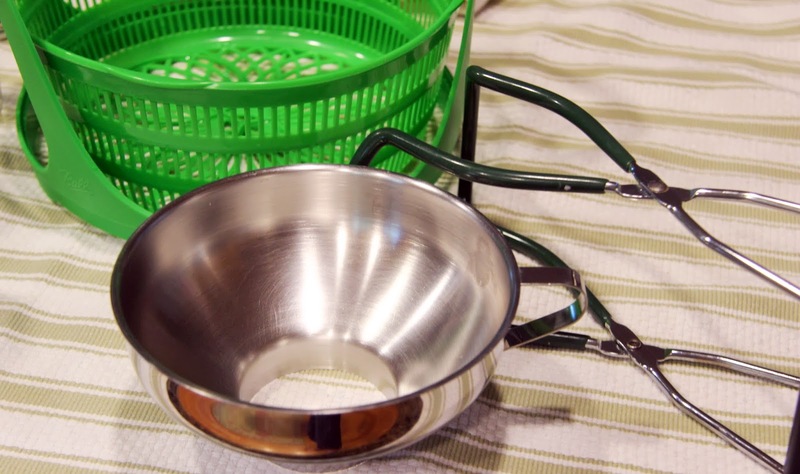 Have your canning jars clean and ready to sanitize in the boiling water. 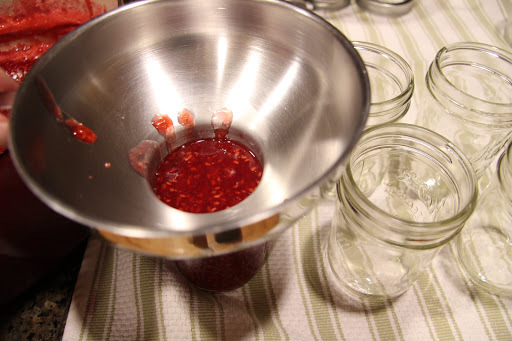 You can also use your dishwasher to sanitize the jars before filling, just make sure you time it so they are still a little warm when you fill them with jam. You’ll still need the pot of boiling water for the sealing process. 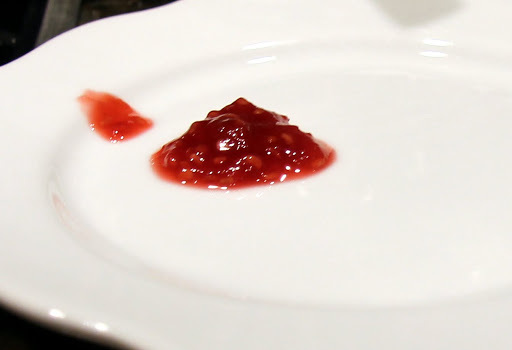 Place a small glass/ceramic plate or ramekin in the freezer to chill for testing the jam. Pick through berries. 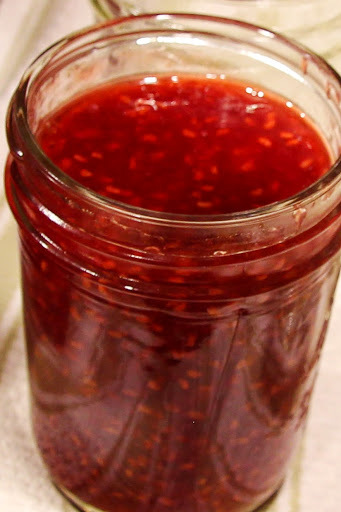 Imperfect ones are fine but remove any moldy ones as they will affect the taste of the jam. 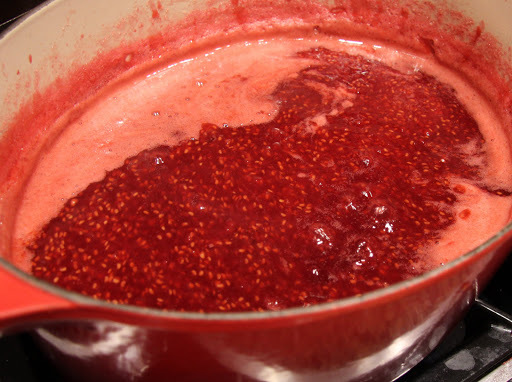 Give the berries a rinse in a large colander/strainer, then drain and place into a large stock pot or dutch oven. The cooking vessel should have a solid/heavy bottom. 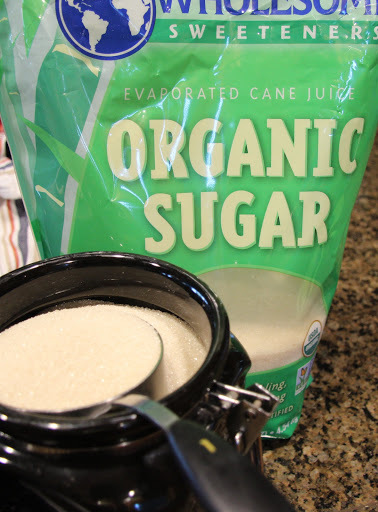 Note: At this point, you may be tempted to reduce the amount of sugar. Please resist. I’ve already reduced the amount from other recipes I’ve looked at and you need a certain amount to keep the mold and yeast at bay, to get the proper gel and texture, and, last but not least, to make it taste good. 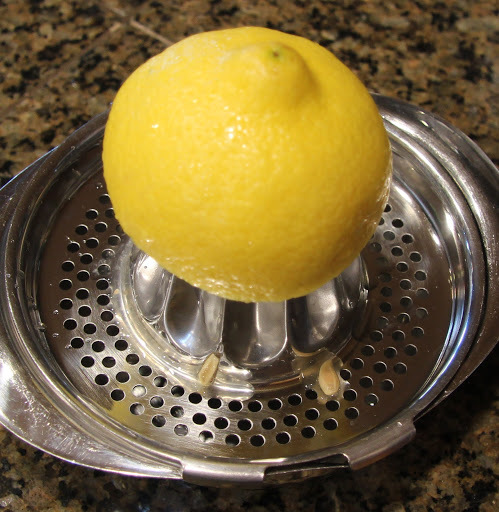 The lemon juice is also important for flavor, color, and preservation but you may reduce the amount by half if your berries are already pretty tart. 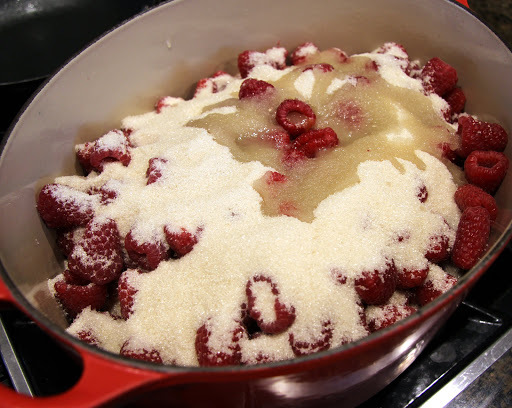 Turn stove on to medium heat then, using a large spoon, whisk, or potato masher, mash raspberries with sugar and lemon and allow to cook and come to a boil. As soon as the water in your stock pot begins to boil, place your lids and jars in a plastic canning basket (I sort of piled the jars on in the water because they didn’t all fit in the basket) and submerge them in the water, boiling for at least 10 minutes. If you’re at a higher elevation like I am, add one minute for every thousand feet. This should sterilize them properly. 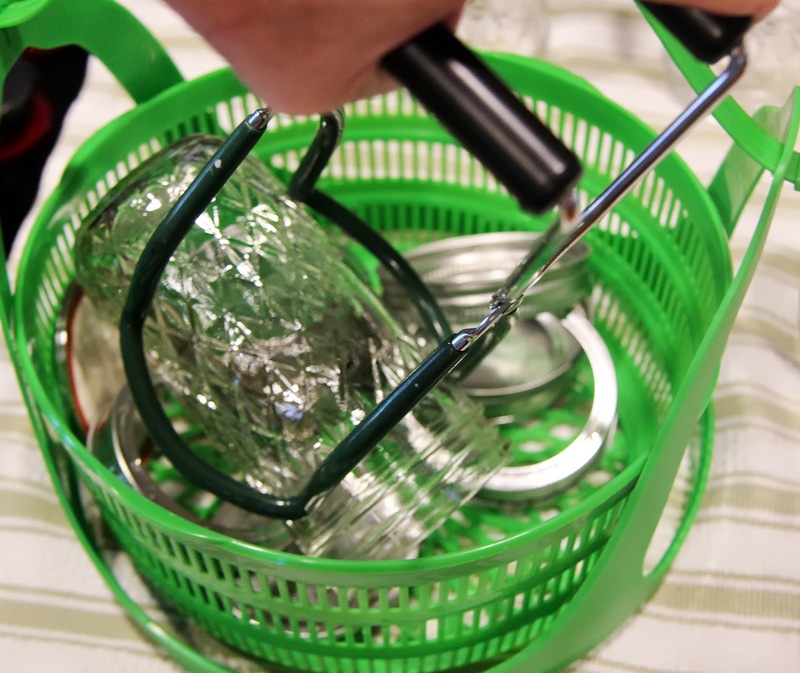 Lay out a large dishtowel to place the sterilized jars and lids on. Meanwhile, your jam is cooking. You’re multitasking – you’re doing great! 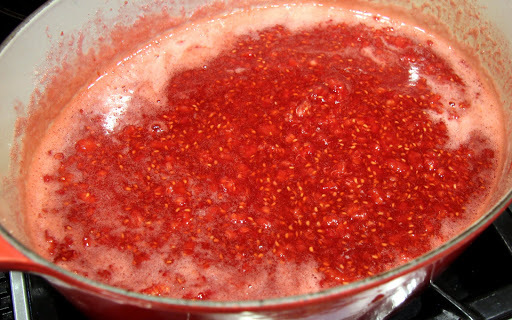 Remember, if you feel your jam is cooking too fast and you’re busy with your jars, you can simply turn down the heat to a simmer to keep it from thickening too fast then turn it back up to a boil when you’re ready. 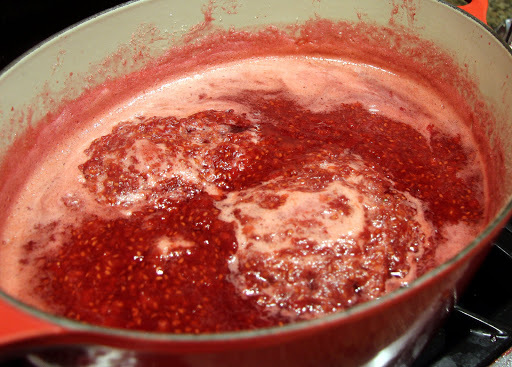 Continue to boil the jam over medium-high heat until it thickens, stirring often. The timing on this varies depending on how high your heat is, how much moisture is in your berries, etc.. When you start to notice a thick consistency, take your chilled plate/ramekin out of the freezer and place a small spoonful of jam on it. If it’s ready, it should mound up and not spread all over the plate. Also, if you run a finger through it, the path should be clear and not spread. When it passes the tests, go ahead and remove the jam from the heat. By now, your jars should be sterile. Take them out carefully, leaving the stockpot full of hot water for the final step of sealing the jars. Place them upside down on a towel, the glass will dry quickly but you’ll have to dry the lids with a clean towel. Using your funnel (very important piece of equipment) and a ladle or a heatproof measuring cup, fill the dry jars leaving about one-quarter (no more than one-half) of an inch headspace at the top. Fill all the jars, top with the lids and seal, a little more loose than tight, with the rings. 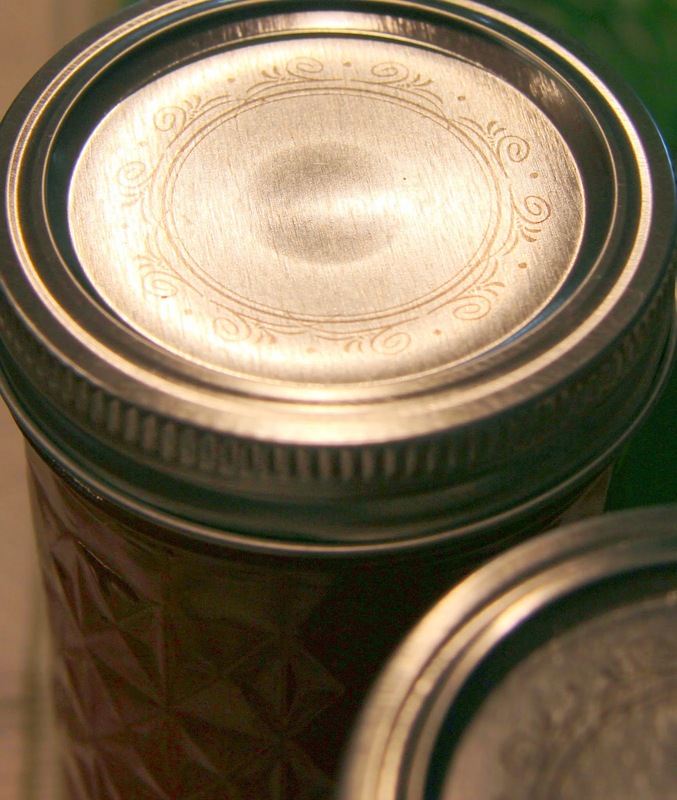 If you don’t fill all the jars full, place remaining jam in the refrigerator and don’t worry about sealing the lid. (You might notice the jam turned to apricot. Don’t be alarmed – I’m borrowing from my apricot jam post). To seal the lids on the jars for storage, place them in the basket and submerge in boiling water. Boil for at least 10 minutes, longer if you are at a higher elevation. I just go ahead and boil mine for 15 to be sure. Remove them, carefully from the water and wait for the “pop” sound you should hear when the jar is sealed. If you fail to hear it, you can check the middle of the top of the jar. If it’s still raised, it’s not sealed. If it’s indented and doesn’t pop back up when pressed, it’s sealed. Sometimes it happens in the first couple minutes, sometimes it takes a lot longer so don’t panic if it doesn’t seal right away. 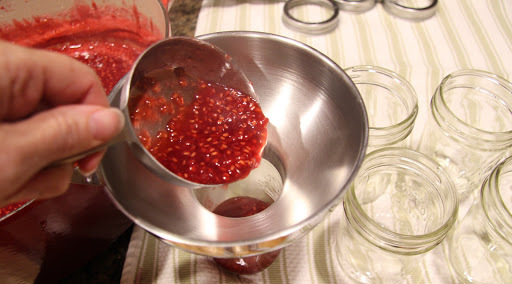 The sealed jars should keep the jam well in your pantry until next summer when it’s time to make more. Hope I don’t run out again!